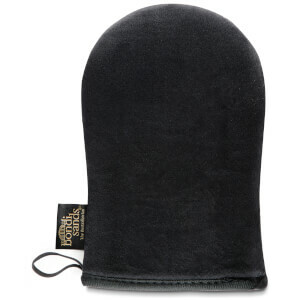 This mitt is fabulous at removing fake tan for a clean base - I've used a few and this is the best one yet! However, it did not work for me in correcting tanning errors (darker patches around ankle area). This is good for exfoliating pre tanning. 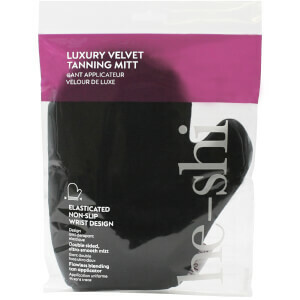 if you have got old minimal tan to remove before tanning its also great, couple of swipes and its gone. 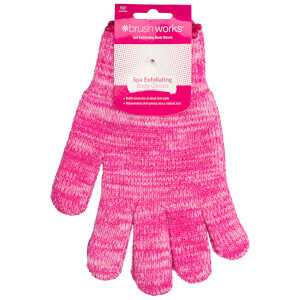 However you need to put some pressure / effort in to remove tan mistakes with it. And its super abrasive, so if you have got the orange ankles / knees situation going on, be prepared to repeatedly rub and grin & bear the soreness. Would suggest applying a thick layer of moisturiser before, soak in the bath to soften as much as possible to make it less of an ouchie situation to get off. If you think you can get in a quick shower swipe over skin and those mistakes be gone, sorry its not that easy. It actually worked to get rid of old dried out tan that usually builds up around my hip/side of my buttock area ready for a new application. Also after using around my ankles and hands I've actually managed to apply tan (twice in two different brands) without those orange bits forming!